My name is Séan Pól Ó Conchuir, I’m the SHU in Dingle Campus Director. 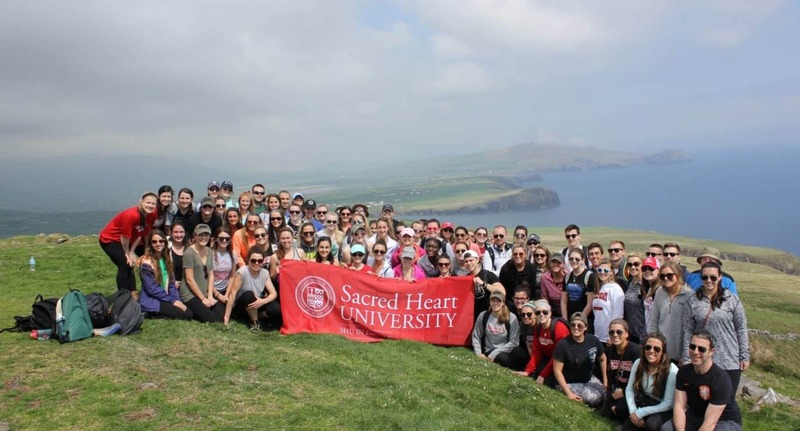 My role here in Dingle is to run the campus, working with faculty both local and from Fairfield, Connecticut, to ensure that we provide a great academic and cultural program to students coming to Dingle. But my biggest role is ensure that students that come over to Dingle from the US are cared for to the highest possible level. Seeing daughters and sons go to University is a milestone in any parents’ life, and some parents may have further worries seeing their son or daughter leave for another country may be daunting, whether for two weeks or a full semester. I’m sure that one of the reasons you came to a school like Sacred Heart University (Fairfield), or another US partner school, is that you liked the many attributes of a smaller University or College; the feeling that faculty and staff look out for and care very much for their students. Let me assure you that this care and attention is replicated here in Dingle. I am, along with my staff are available to the students here on a 24/7 basis; any needs or worries you may have will be cared for. Dingle has a strong sense of community and students are part of this community, where we all look out for each other. The town of Dingle is a wonderful place, full of character and sites to behold, it is also, a very safe town where students feel very secure. Finally, I hope that my daughter will one day attend college and will no doubt want to participate in a study abroad program, indeed, I will encourage her to do so. My hope is that she attends a program that is run in a similar vain to the SHU in Dingle program, where students are looked after to the highest possible level, while allowing them to grow, mature, experience a different culture but all within the umbrella of on-site support team that genuinely care. Please feel free to contact directly if you have any questions or concerns.